Ever needed a snack idea for meals, friends, events, occasions, or just for yourself? Well look no further! 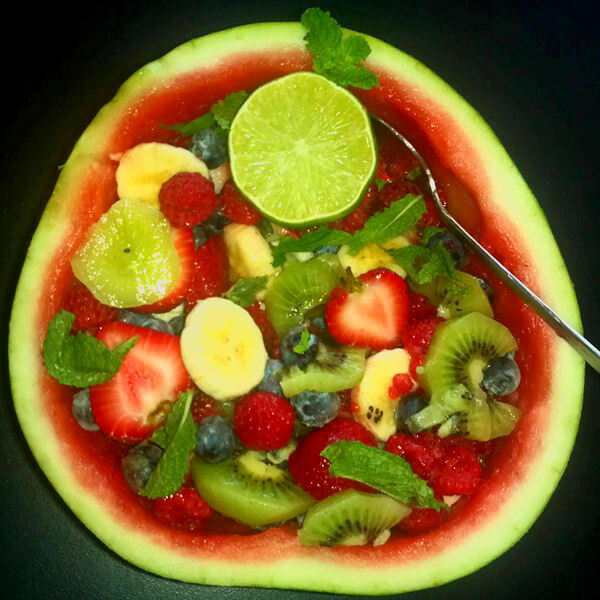 These watermelon bowls are simple, easy, and delicious! Plus, they are a great way to promote a healthy raw vegan lifestyle! I make these bowls all the time, and they are perfect! Plus, the colors are simply amazing! Next, scrape out the insides, or just eat it, like I do! 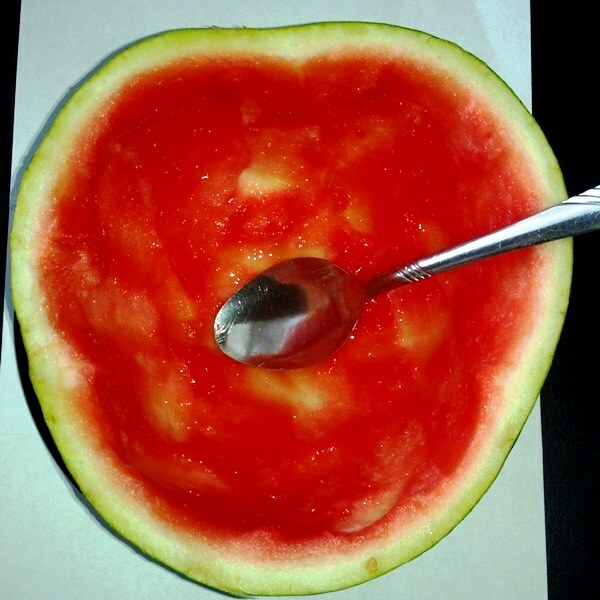 You can use the insides for stuffing for the fruit bowl, or you can eat the half of a watermelon for a meal. It tastes great with lemon! Once the inside is carved out, you will then begin the filling process. 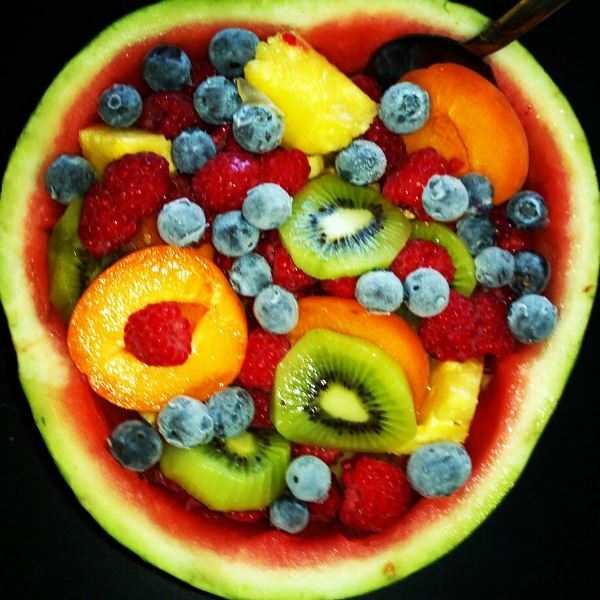 You can stuff your watermelon fruit bowl with anything! Here is one that I did. 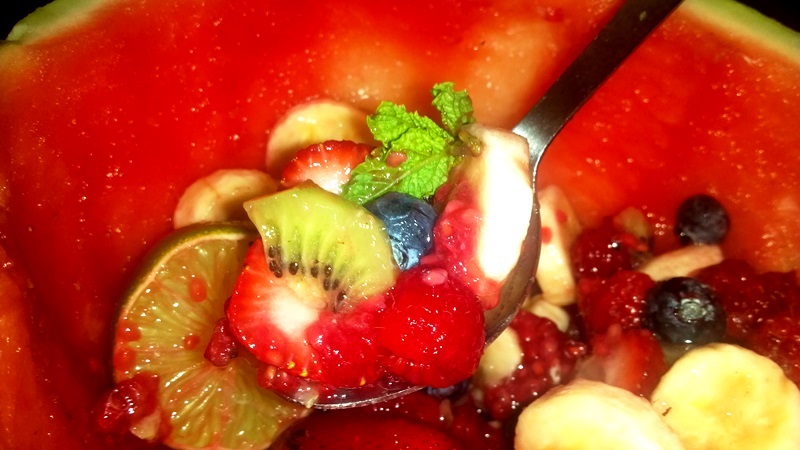 This bowl is stuffed with apricots, strawberries, raspberries, kiwi, mango and frozen blueberries. 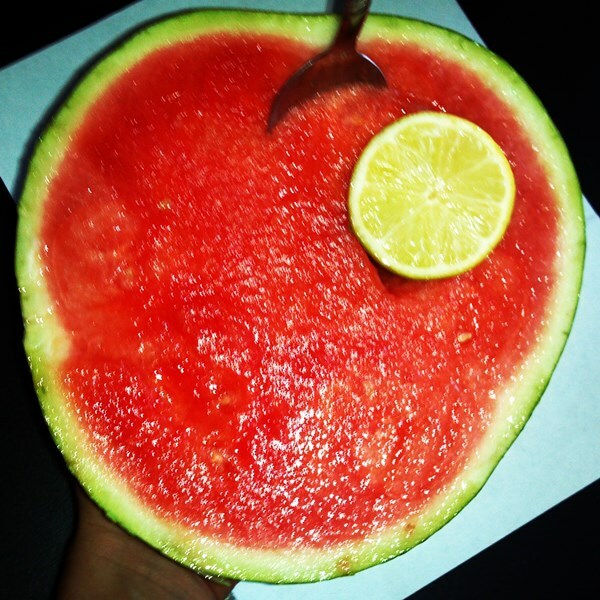 The juice from the inside of the watermelon soaks into the fruit and makes it taste even better! You can stuff these bowls with literally anything! 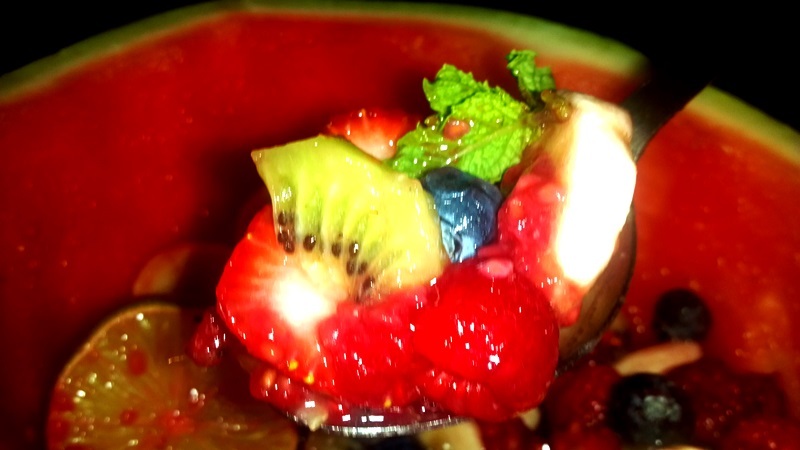 Here is another one I did, stuffed with bananas, kiwi, strawberries, raspberries, frozen blueberries and mint! I also squeezed some lemon juice over it. 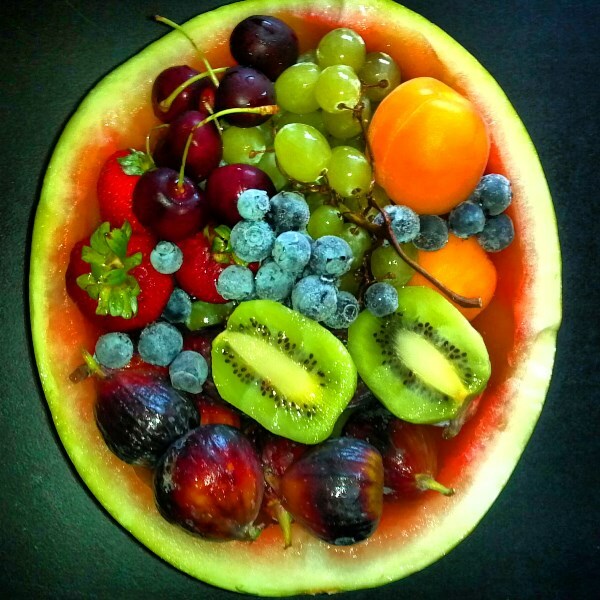 Take a spoon, fork or just use your hands, and eat to your heart’s content!